Nimmanhaemin Road lies in the sweet spot just west of the old city and just east of the mountains. The neighborhood surrounding the main street is affectionately referred to as Nimman. It's vibrant and fun and decidedly the "hip" part of town. It's close to Chiang Mai University and, as such, has no shortage of bars, coffee shops, restaurants, food carts, and various good times. Let's talk about those good times, shall we? Wine buffet anyone!? I hope your answer was YES PLEASE! There are places in Chiang Mai that offer wine and/or beer buffets (yes, that's all you can drink) for 200THB to 300THB (that's about $5 or a little over). It's a known fact that you can't walk 10 feet in Thailand without stumbling across a spa or massage place. Massages will run you roughly 400THB for 90 minutes...that's about $10. 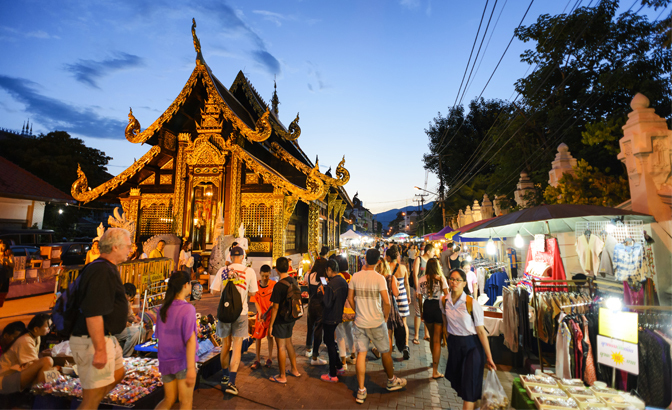 Chiang Mai is a shoppers paradise and the Night Markets won't disappoint. There's at least one open every day from dusk until midnight. Clothes, trinkets, exotic foods, and almost anything else you can think of can be found for a great bargain. 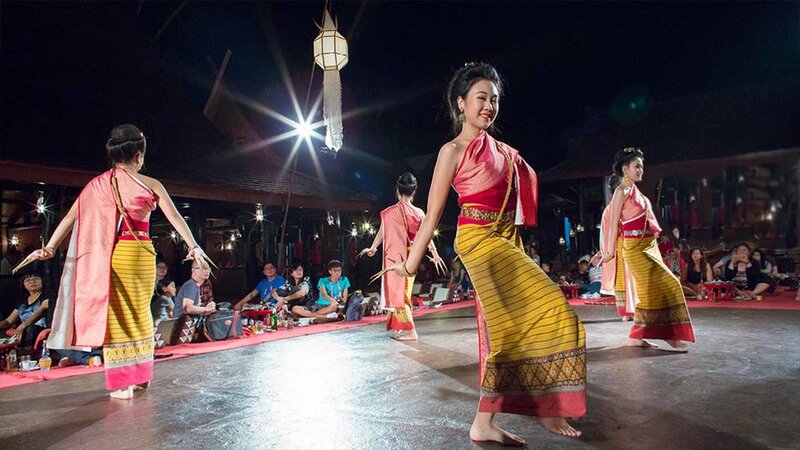 Catch dinner and a show at the Old Chiang Mai Cultural Center. Attending a Khantoke Dinner here is a favorite activity for tourists and expats where you can sample local delicacies and be entertained by dance styles from every part of the country. One of the things Thailand is most known for is the delicious and inexpensive street food. You can easily get a delectable meal for less than $5 in the streets of Chiang Mai. It can be argued that it's more economical to eat out than to buy groceries. ummm...I did mention the street food right? Meanwhile, if you'd like to have a seat while you eat, there are plenty of great places to do that as well. Let's get down to what you really want to know about - where we will rest our heads when we're not getting a massage, bargain hunting, gorging on all you can drink wine and eating tasty cheap eats. Last year, we called The Bliss our home. Our apartment building was well located, just a few blocks from Maya Mall and Nimman Rd. Here are a few photos from our apartments. While it's quite enticing to kick your feet up in Chiang Mai and give in to the laid back atmosphere, we'll still have to maintain our jobs. Here are two of the coworking spaces we'll be hanging out at to maintain maximum productivity. 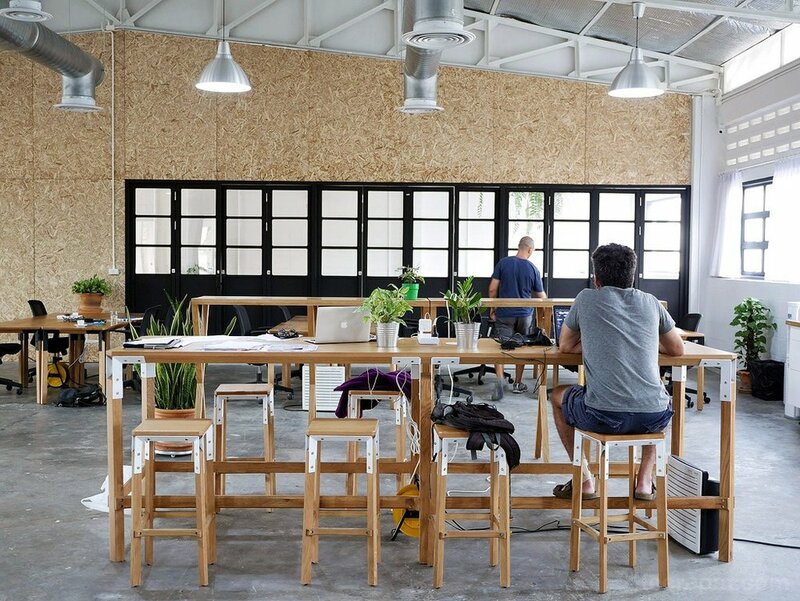 Punspace - one of the first coworking spaces in Chiang Mai, this place is full of focused people who don't mind it getting a little rowdy during a lively meeting or brainstorming session. Starwork - this place is bright and fun, and has a sleeping room as well as 24 hour access! These are the kind of places that make you excited to get to work...kinda. The first order of business will be to become familiar with our surroundings. We'll tour some of Chiang Mai's many wonderful sights like Doi Suthep Mountain and the temple Wat Prat Doi Suthep, the jade factory and the old city. We are particularly excited to celebrate Loy Krathong alongside the locals and, of course, many tourists. Yee Peng (aka the Lantern Festival) kicks off Loy Krathong on November 14th. Locals will decorate public places in lanterns and flag decorations and the city will release floating lanterns into the sky. Parades and dance shows also surround the event and everyone has fun making their Krathongs and floating them on the river. Thailand will certainly be difficult to leave! We'll have to be extra sure everyone is present and accounted for at the airport on departure day! Newer Post5 Reasons to Visit Nairobi NOW!